EVERETT, Wash. — A judge ruled against a couple Tuesday after they sued for the right to drill a well and build a new home on their property in Skagit County. The case marks the latest battle in the ongoing fight over water rights in Washington’s Skagit River valley. Snohomish County Superior Court Judge George Appel dismissed the case brought by property owners Richard and Marnie Fox. He told the couple that they can’t build a home on their property because they don’t have legal access to water. The courtroom was packed. There were a lot of people who had come in from rural parts of the county because this rule affects a lot of property owners. More than 450 property owners stand to have their property values decreased because of this rule — because they no longer have legal access to water. Critics of the rule said they are calling on state legislators to reexamine this 2001 rule to see what can be done to reset the balance the interests of property owners with the interests of protecting fish. RAPID CITY – More than 100 years ago, a treaty established that all water on Native American land or that naturally flowed to Native American land was to be held by the sovereign tribes. But tribal governments say they still are fighting to make sure their water rights and, by extension, rights of sovereignty are protected. Representatives from the Standing Rock Sioux Tribe, the Oglala Sioux Tribe and the Rosebud Sioux Tribe, all members of the Great Plains Water Alliance, gathered last week for the Missouri River & Ogallala Aquifer Indian Water Rights Conference in Rapid City to discuss those rights, how they are being undermined and what can be done to protect what is theirs. The purpose of the conference was to figure out how to prevent federal and state governments from infringing on the water rights legally held by the tribes, said Dennis “Charlie” Spotted Tail, Solider Creek Council representative of the Rosebud Sioux Tribe and chairman of the Great Plains Water Alliance. Presentations at the conference included an explanation of the dangers of uranium mining in the Black Hills, the potentially damaging effect the Keystone XL Pipeline could cause to the Rosebud Sioux Reservation and an explanation of the history of tribal water law. Spotted Tail claimed that as the conference was being held, the U.S. Army Corps of Engineers was navigating waters from the Missouri River that naturally would flow to the tribes of the Sioux Nation to other users. “They are totally disregarding our treaty rights,” Spotted Tail said. He said engineers are following rules established by the 1944 Flood Control Act but are ignoring the Winters Doctrine precedent that has been in place since 1908. The Winters doctrine came from the case of Winters v. United States in 1908, when the Supreme Court ruled that when the United States creates an Indian reservation, it implicitly reserves sufficient water to fulfill the purposes of the reservation, with the water claim priority date established as of the date of the reservation, according to a presentation by David Ganje of the Ganje Law Office in Rapid City. The Supreme Court ruled that the right to use water flowing through or adjacent to the Fort Berthold Indian Reservation was reserved by the treaty establishing the reservation. Although the treaty did not mention water rights, the court ruled that the federal government intended to deal fairly with Native Americans by preserving their water, Ganje wrote in his presentation. “We need enough water to supply the reservation for what it was created for and to preserve enough for future use,” he said. The Great Plains Tribal Water Alliance and the The Seven Council Fires of the Great Sioux Nation are working toward a federal congressional hearing to lay claim to what is rightfully theirs, using the help of water law experts and lawyers, Spotted Tail said. “The theme of this whole meeting is to formulate a strategy after the meeting for a hearing, utilizing the knowledge provided by our water rights experts and attorneys,” he said. Hualapai Chairwoman Sherry Counts told a Senate committee that the northwestern Arizona tribe supports a bill that would formalize two water-rights agreements between it, Freeport Minerals Corp. and the government. WASHINGTON – Tribal and state lawmakers urged a Senate panel Wednesday to approve a water-rights agreement between the Hualapai tribe and Freeport Minerals Corp., saying time is fast running out on a deal. Witnesses told the Senate Indian Affairs Committee that the Bill Williams River Water Rights Settlement Act of 2014, which would guarantee the tribe certain levels of water use in the area, has been years in the making. But statutory limits on Freeport’s water rights mean it could all be undone if Congress does not act this year, the bill’s supporters said. “We need to have this done before that deadline or the whole thing goes away,” Hualapai Chairwoman Sherry Counts said at the hearing. The bill is sponsored by Arizona Republican Sens. John McCain and Jeff Flake, while a companion measure in the House has been co-sponsored by all nine members of the state’s House delegation. “It’s rare to find a piece of legislation that can garner bipartisan and bicameral support from the entire state congressional delegation,” said Flake, who called the bill an important piece of legislation for the whole state, not just the tribe. 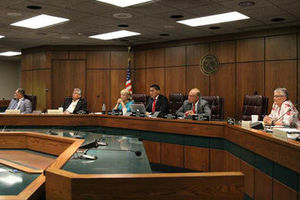 Flake said officials in Mohave and La Paz counties have raised questions about the deal. And Bureau of Indian Affairs Director Michael Black testified Wednesday that while his agency supports the goals of the bill, it has “significant concerns” about provisions that waive sovereign immunity. Black said those concerns “must be resolved before the administration can support the bill,” and assured the committee that the bureau is working to find a solution. But Flake said a waiver of immunity is not unprecedented in such agreements and that parties in the deal “must have the ability to enforce the terms of the agreement.” The waiver “must be expressed and unequivocal,” he said. “We’ve been on the Colorado River since time immemorial and we have no water rights,” said Counts, who said securing those rights is a key goal for tribe. But she also noted that water rights are also critical for any economic development plans the tribe has, for building resort facilities for tourists or housing for tribal members. “We have to conclude our native water-rights settlements if we are going to have a predictable supply of water for Indians and non-Indians alike,” McCain said. 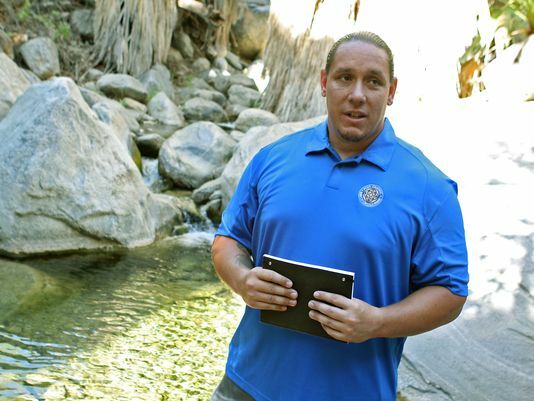 Agua Caliente tribal chairman Jeff Grubbe talks about the Coachella Valley’s aquifer and the tribe’s related lawsuit in the Indian Canyons, Thursday, June 27th, 2013. The United States Justice Department on Tuesday voiced support for the Agua Caliente Band of Cahuilla Indians’ lawsuit against two local water authorities that claims mismanagement of the Coachella Valley’s underground water supply. The U.S. Justice Department on Tuesday weighed in to support the Agua Caliente Band of Cahuilla Indians in its lawsuit against two water districts, backing the tribe’s claims that the local agencies are infringing upon its rights by over-pumping groundwater from the Coachella Valley’s aquifer. In the motion filed in U.S. District Court, attorneys for the Justice Department are seeking approval to join the lawsuit, saying the government has a significant interest in ensuring water rights for the tribe. In the motion, government lawyers said the U.S. government has an interest “in protecting the federal reserved rights to groundwater” associated with the tribe’s reservation. They said the tribe notified the federal government of the lawsuit and requested that it intervene. 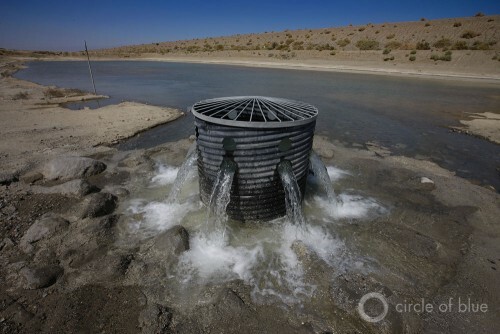 The tribe filed its lawsuit in May 2013 against the Desert Water Agency and the Coachella Valley Water District, the two largest water suppliers in the Coachella Valley. A spokeswoman for Coachella Valley Water District said the agency’s general manager and board members had not had time to review the motion and could not comment. Robert Anderson, a professor at the University of Washington School of Law with experience in tribal water cases, called the government’s motion a significant development. “It’s huge for tribal interests involved in the case that they’ve got the U.S. on their side now,” Anderson said. The U.S. government will routinely get involved in lawsuits like this, Anderson said, but only when officials believe a tribe’s case has merit. Anderson said he has no doubts the court will support the government’s request to intervene in the case. 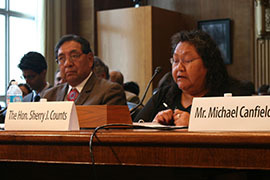 The added expertise and legal experience the federal government brings to the arguments could end up helping the tribe’s case, Anderson said. 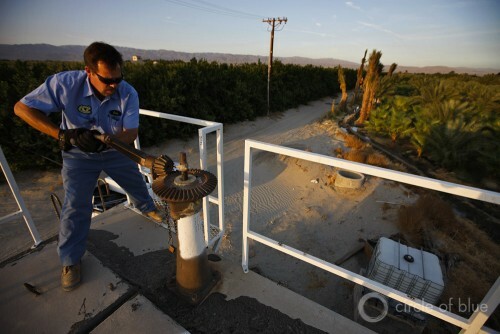 A Desert Sun analysis of groundwater data determined that water levels in wells across the Coachella Valley declined by an average of 55 feet between 1970 and 2013. Those declines have been especially pronounced in the middle of the valley, with drops of more than 100 feet since the 1950s in some areas of Palm Desert and Rancho Mirage. Water agency officials have said the tribe’s lawsuit seems to be an attempt to take away the public’s water rights, and have also suggested the tribe could be trying to make money off the water rights. The tribe has denied those accusations. The Agua Caliente tribe has a reservation stretching across parts of Palm Springs, Cathedral City and Rancho Mirage, and owns two casinos and hotels. The tribe is preparing to develop a 577-acre piece of vacant land near its Agua Caliente Casino Resort Spa in Rancho Mirage into a 55-and-over residential community. Leaders of the tribe have raised concerns about declining water levels in the aquifer and about worsening water quality due to inflows of imported water from the Colorado River with higher salinity levels. Water agency officials have stressed that the imported water is well within drinking water standards, and have said that treating the Colorado River water would lead to substantial rate increases for customers. In February, lawyers for the water agencies and tribes appeared in federal court in Riverside, and District Judge Jesus Bernal set a timetable for pretrial procedures and motions, as well as a trial date of Feb. 3, 2015. Attorneys for the Justice Department said in their motion that the government should be permitted to intervene in the case partly because “the United States asserts interests on behalf of all federally recognized tribes and all federal lands” relating to water. A judge is scheduled to consider the government’s request at a hearing in Riverside on June 16. The Confederated Salish and Kootenai Tribes in Montana stand to become the first tribes in the country to own a major hydroelectric dam. In Colorado, tribes are managing parts of hydro projects. All are examples of tribes regaining control of resources on their land. Aspen Public Radio’s Marci Krivonen reports. 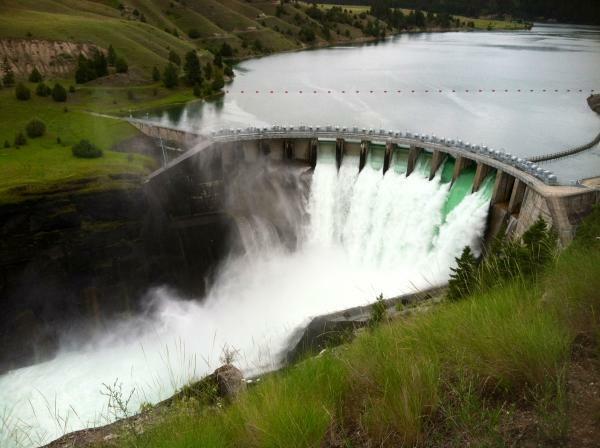 The Kerr Dam in Northwest Montana was built in the 1930’s on the Flathead Indian Reservation. It’s been owned by non-tribal companies since it was built. “Not only do these water projects strengthen tribal sovereignty, but they also solidify a treaty obligation to the Utes here in Colorado. I think that by the tribe’s involvement in a lot of these projects, it provides a very important tool for future economic development, especially, specifically, water,” he says. “This is a place of great spiritual significance for the tribes, and so when the dam was being built, they really resisted, they were trying to not have that dam built,” says Jordan Thompson. “There were just a bunch of people who built it, over 1200 people at one point. Ten tribal members were killed during the construction of it. It was built because the tribes were just powerless to do anything to stop it,” Thompson says. “This is significant because it’s an assertion of the tribes sovereignty over the resources they’ve used for their entire existence,” says Sarah Bates with the University of Montana. CHILOQUIN, OREGON – Yesterday, June 10, the Klamath Tribes delivered to the Oregon Water Resources Department a “call” requesting that the Department take action to enforce the Tribes’ water rights that have been determined in the Klamath Basin Adjudication. The Tribal Water Rights have been in litigation since 1975. A “call” is a request that the Department’s Water master reduce illegal water uses and water uses whose priority date is junior to the calling party, until enough water becomes available to meet the party’s rights. Other calls are also expected from Irrigation Districts and others with senior water rights. These are the first such “calls” of their type in the Klamath Basin because prior to the Department’s recent order in the Adjudication determining the pre-1909 and federal and tribal rights in the Basin, Oregon Water Resources Department did not have a basis to enforce for or against junior or senior water rights. The Klamath Tribes’ rights are based on the needs of plant, wildlife, and fish species the Tribes reserved the right to harvest in the Treaty of 1864, including fish in several rivers, lakes and marshes of the Upper Klamath Basin. The Tribes’ water rights have been affirmed in the courts to have a “time immemorial” priority date, and are the most senior in the Basin. The rights provide that specific quantities of water are to be maintained in stream to provide for fisheries and other treaty resources. Because the stream flows are currently lower than the Tribes’ rights, the Tribes have asked for illegal uses and junio ruses to be restricted until the flows are met. The tribal water rights have been in litigation in the Adjudication since it began in 1975. Water use in the Basin has not been closely monitored or measured in the past, so it is difficult to say specifically what the impacts of the call will be. But it seems safe to predict that enforcement of the Tribes’ rights will bring changes to Basin water management. How long the call will remain in effect is difficult to predict because there has never been a call of this type in the Basin before. Also, the result depends in part on the weather and duration of the drought. 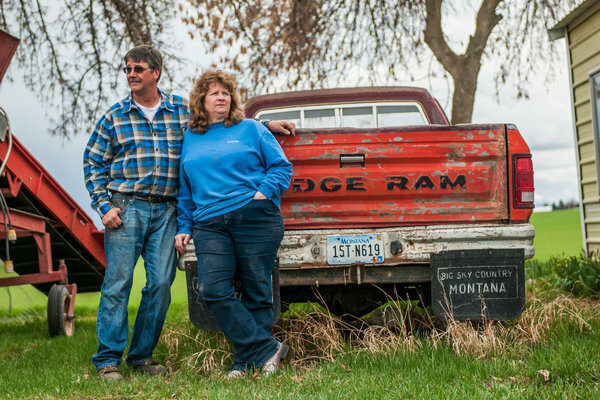 Jack and Susan Lake, who support the water bill, at their potato farm on the Flathead Reservation. Mr. Lake’s family moved there from Idaho in 1934. RONAN, Mont. — In a place where the lives and histories of Indian tribes and white settlers intertwine like mingling mountain streams, a bitter battle has erupted on this land over the rivers running through it. A water war is roiling the Flathead Indian Reservation here in western Montana, and it stretches from farms, ranches and mountains to the highest levels of state government, cracking open old divisions between the tribes and descendants of homesteaders who were part of a government-led land rush into Indian country a century ago. 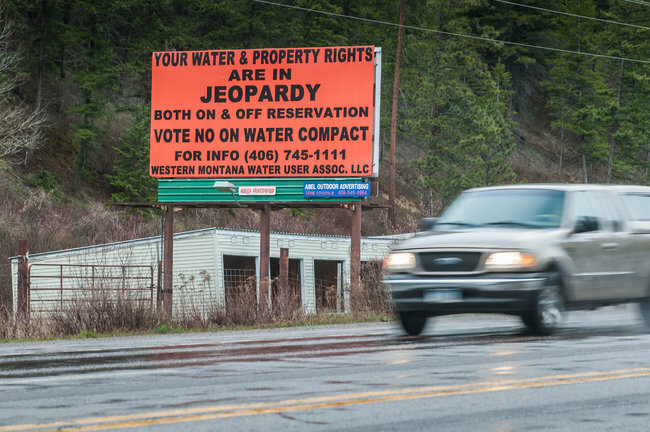 A billboard at an entrance to the Flathead Reservation in western Montana, where a bitter dispute has divided the residents. Dependable water supplies mean the difference between dead fields and a full harvest throughout the arid West, and the Flathead is no exception. Snowmelt flows down from the ragged peaks to irrigate fields of potatoes and wheat. It feeds thirsty cantaloupes and honeydew melons. Cutthroat trout splash in the rivers. Elk drink from the streams. So when the government and the reservation’s tribal leaders devised an agreement that would specify who was entitled to the water, and how much they could take from the reservoirs and ditches, there was bound to be some discord. But few people expected this. There have been accusations of racism and sweetheart deals, secret meetings and influence-peddling in Helena, the state capital. Lawsuits have been threatened. Competing Web sites have sprung up. Some farmers have refused to sell oats to those on the other side of the argument. For months, local newspapers have published letters from people who support the water deal — known as a compact — and from opponents who see it as a power play by the tribes to seize a scarce and precious resource from largely non-Indian farmers and water users. The proposed compact is 1,400 pages long, a decade in the making and bewilderingly complex. Essentially, it helps to lay out the water rights of the tribe and water users like farmers and ranchers. It provides $55 million in state money to upgrade the reservation’s water systems. And it settles questions about water claims that go back to 1855, when the government guaranteed the tribes wide-reaching fishing rights across much of western Montana. The tribes say they have given up claims to millions of gallons of water to reach the deal. They say it is the only way to avoid expensive legal battles that could tie up the state’s western water resources in court for decades to come. But the deal has rankled farmers and ranchers on the reservation, who fear they could lose half the water they need to grow wheat and hay and to water their cattle. Under the compact, each year farmers and ranchers would get 456,400 gallons of water for every acre they irrigate. Tribal officials say that is more than enough, but farmers say the sandy soil is just too thirsty. They fear they will be left dry. 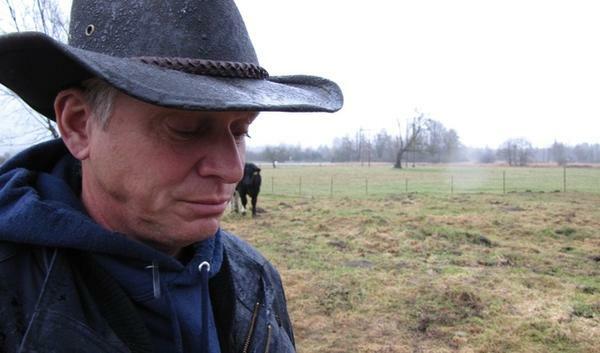 “They’ve literally thrown us under the bus, and we’ve had to fight this thing ourselves,” said Jerry Laskody, who has joined a group of farmers and ranchers in opposing any deal. The group has held meetings and taken out advertisements to spread the word. As visitors drive onto the reservation, a bright orange billboard declares, “Your Water & Property Rights Are in Jeopardy.” The pact has also angered some conservative residents around the valley, who accuse the tribe and Montana officials of colluding in what they characterize as legalized theft. At the heart of the dispute is a question that has haunted the United States’ relations with indigenous people for centuries and provoked countless killings, dislocations, treaties and court battles: Who has a claim to the land and its resources? It is an emotional issue, especially here. In the early 1900s, the federal government opened up millions of acres on the Flathead and other reservations to white homesteaders, a decision that echoes today across the Great Plains and the West. Tribal members were allotted specific parcels, and the rest was put up for sale. Homesteaders came in droves, to stake farms, open sawmills and grocery stores, plant wheat and build roads. Within a decade, settlers outnumbered tribal members on the Flathead. Today, resorts and million-dollar homes line the shores of Flathead Lake, the reservation’s largest body of water. Of the reservation’s more than 28,000 residents, about 7,000 are American Indians, according to census data. “We are minorities on our homeland,” said Mr. McDonald, the communications director. Over the years, tribal members married homesteaders’ children. Families blended. Children from Salish and Kootenai families attended the same schools as those who had moved in from Missoula or Washington State. Residents say that today, the bonds and friendships are wide and deep. Until they are not. A report by the Montana Human Rights Network once described the reservation as home to “the most aggressive anti-Indian activity in Montana” because of its patchwork settlement. Conflicts have flared over tribal control of a major dam on Flathead Lake, and over whether tribal police officers should be able to arrest or detain non-Indians on the reservation. In the late 1980s, a dispute over hunting and fishing regulations led to screaming matches and death threats. “They painted their fence posts orange and let it be known they’d shoot you if you walked on their land,” said Joe McDonald, who for nearly three decades was the president of Salish Kootenai College here on the reservation. This time, the fight appears bound for court. After years of public meetings and deliberation, the full compact finally arrived in the Montana State Capitol this spring. It was supported by the state’s first-term governor, Steve Bullock, a Democrat, as well as by some Republican lawmakers from the area. But with farmers showing up to denounce the compact measure, the Republican-led Legislature killed the bill. For Susan and Jack Lake, that decision cast a shadow over their potatoes. Mr. Lake’s family moved here from Idaho in 1934. Today, the family farms 1,000 acres, 85 percent of it irrigated. They grow seed potatoes that are ultimately used to make chips and instant mashed potatoes. The Lakes agonized over the water deal, but eventually decided to support it. They worried about losing water, but said that going to court against a tribe with older, stronger claims to the reservation’s water supplies felt like a suicide mission. Sometimes, Ms. Lake said, it just felt absurd: so many years of tangled fights over something so simple and pure.